Okay when I have a cold, soup is the only food that I want to eat. 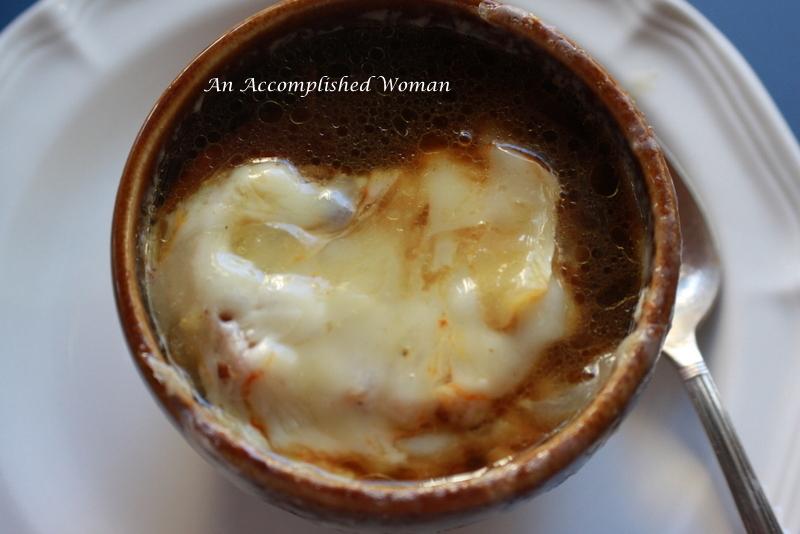 French Onion soup is one of my favorites, but my hubby cannot be around when I cook the onions. 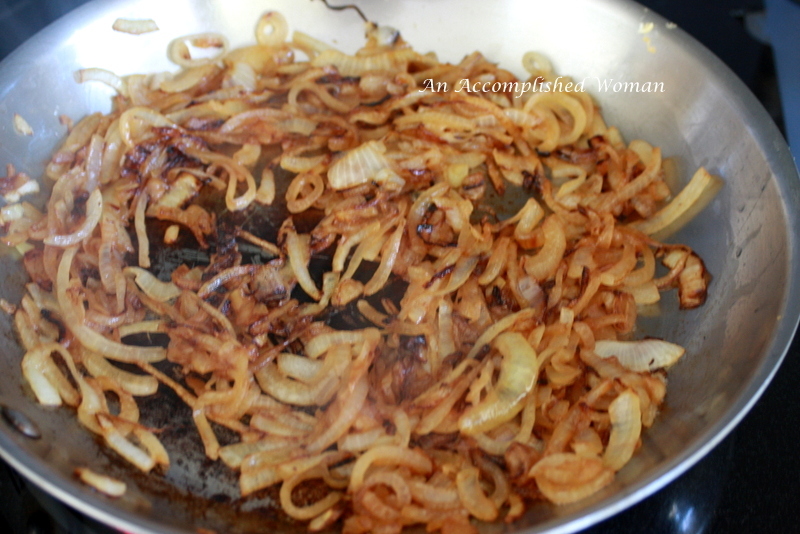 So I love to caramelize the onions ahead of time. 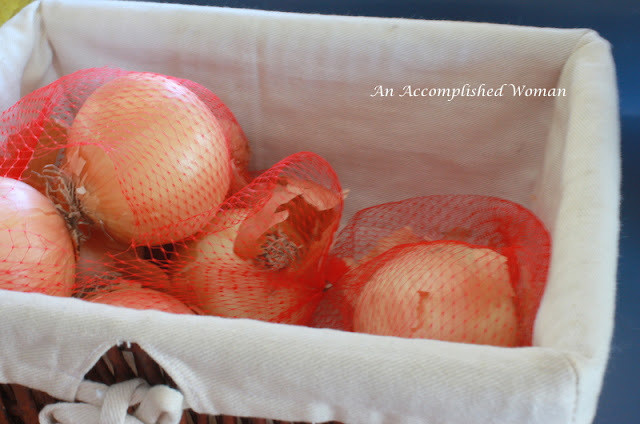 Caramelized onions also freeze well. So first caramelize 6 cups of onions. I do this in small batches so they cook properly. Remove the onions from the pan. Either freeze or place in slow cooker. I am making two batches so half I am freezing and half I am putting in the slow cooker. Deglaze the pan with 7 cups of beef stock. Place the beef stock in slow cooker with 1/2 t. of Worcestershire, 1 bay leaf, 1/4 t. of thyme. Cook for 4 hours on high or 6 to 8 hours on low. Your home will smell so wonderful. When you are ready to serve your soup, take sliced French bread and run it under the broiler enough to toast both sides of the bread. 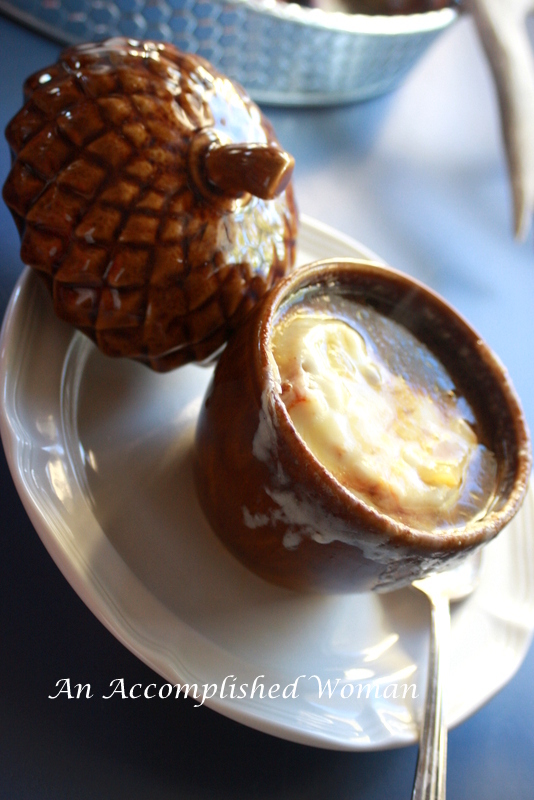 Ladle the soup into the bowls. 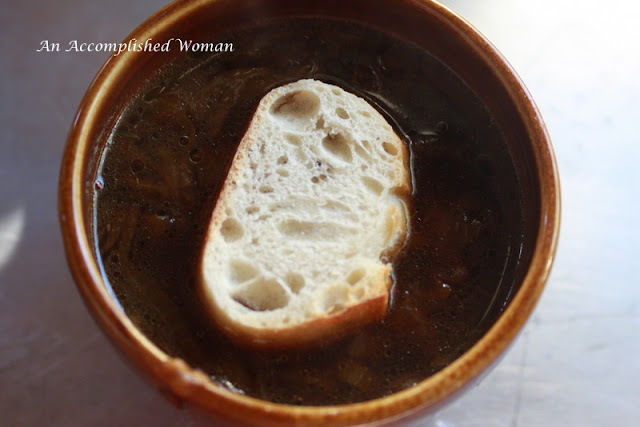 Place the bread on the top of the soup. 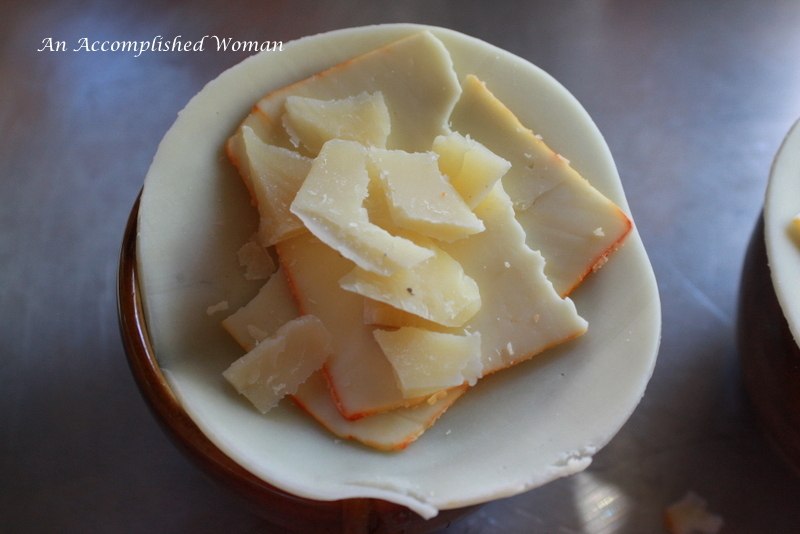 Layer with a slice of provolone, a slice of Muenster and some shredded gruyere. 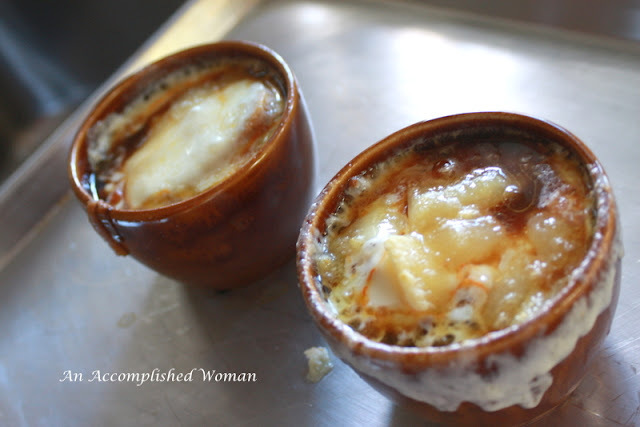 Run the bowls under the broiler to melt the cheese. 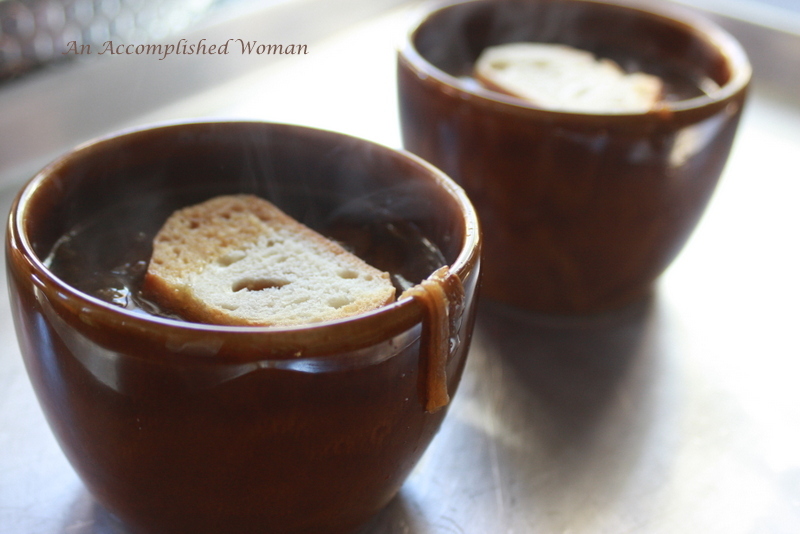 Serve with the rest of the French bread. Delicious and makes me feel so much better. 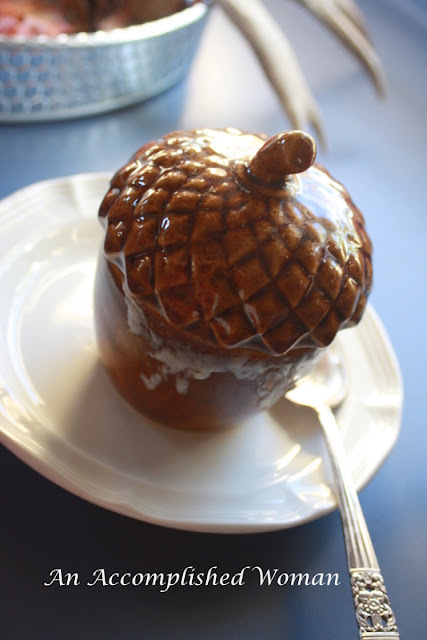 Oh, I love, love onion soup, and yours looks so yummy on this cold night up here, especially in those precious little tureens! If you like Jack Daniels and bleu cheese, try deglazing with the JD and flame it off (or not! ); sub bleu cheese and you have Black and Bleu Onion Soup! We love it! Brilliant. I love French onion soup. 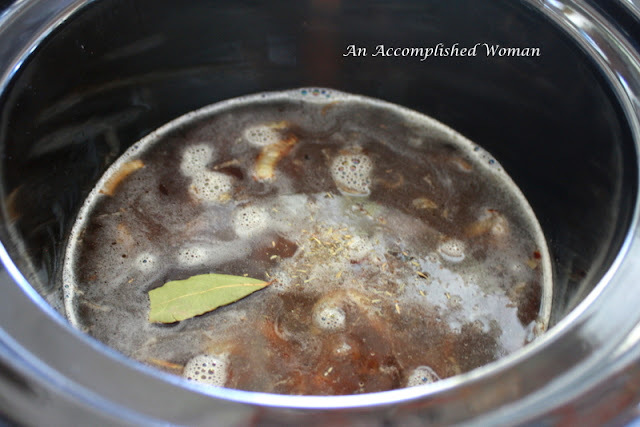 I have always used Julia Child's recipe, but I am happy to try out your slow cooker version!